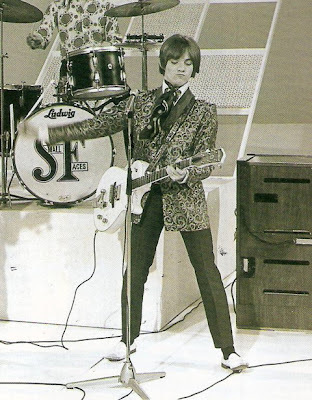 Steve Marriott went from a child star with the lead role in the musical Oliver, to serenading the British 'Mod' Cultural Movement. The original front-man for the Small Faces (pre Rod Stewart) who went on to further success with Humble Pie would have turned 66 today, had he not tragically died in a fire in 1991. A severely underrated musician who was up there with Zeppelin, The Stones and The Who at the forefront of the Euro-Blues explosion of the mid-1960's. His time with the Small Faces encapsulates one of my favorite musical groups of all time. I'm not certain why they were less successful on this side of the pond but they were held in extremely high regard in their own UK. You can't listen to one of their live albums due to the incessant screaming of young British girls. After teaming up with a young Peter Frampton to form Humble Pie, it wouldn't get much quieter. They hit the states with this time with much more force, finding their place among the hard hitting rockers of the 1970's. Before I had even heard a song by them, I recall them winning a few "Band-Aids" in the movie Almost Famous. Probably an accurate portrayal considering both groups were known for their partying lifestyle. Lesser known was his amazing skill as a wordsmith and storyteller, as well as a guitarist. Here to represent his two musical phases is a strikingly clear video from his time with the Small Faces and after that, an all out smokeshow from his time in Humble Pie.